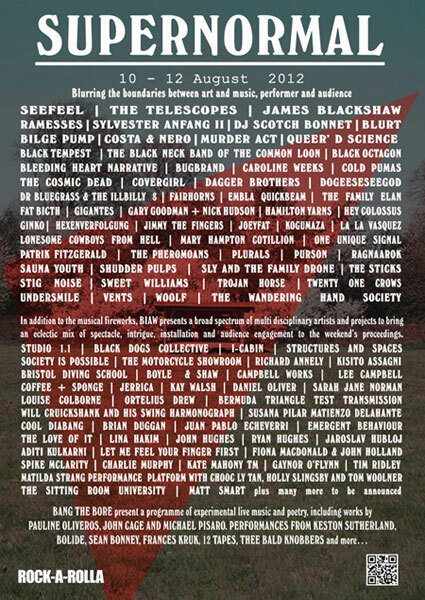 Two firm favourites here at Shaman HQ will be both headlining different stages at this weekend’s Supernormal Festival in Oxford on the opening night of Friday 10th August, RAMESSES will play the Main Stage while UNDERSMILE take on the Second Stage. The entire festival takes place between Friday 10th to Sunday 12th August at Braziers Park, Oxford, it’s sponsored by Rock-A-Rolla Magazine and below are some links for further information. And to wet your appetite, here’s a couple of video’s from both bands.